The 2015 Concierge Choice Awards dinner was held September 21, 2015 at Battery Gardens. Photos of the 2015 event are available here. 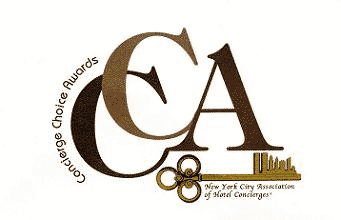 The CCAs honor premier individuals and businesses in the New York City visitor/service industries. Chosen by the New York City Association of Hotel Concierges, these annual awards are highly selective. For more information please visit conciergechoiceawards.com or like us on Facebook.